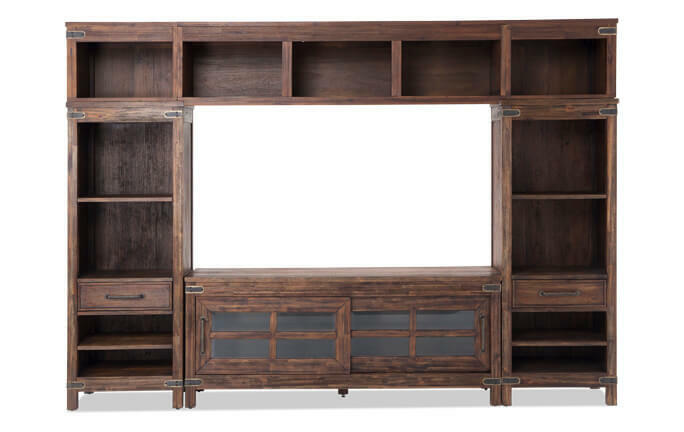 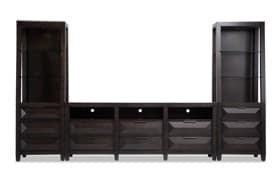 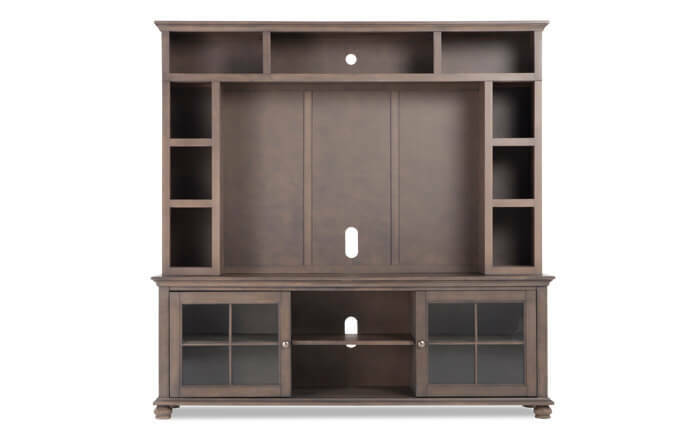 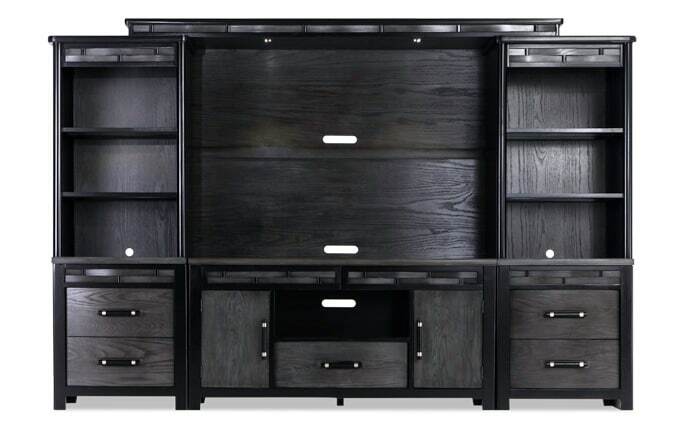 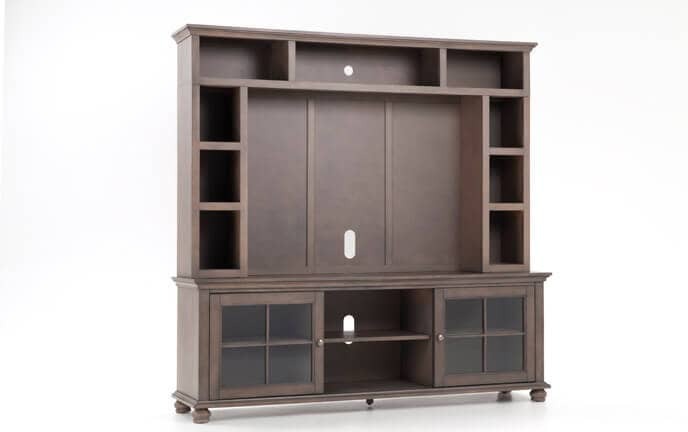 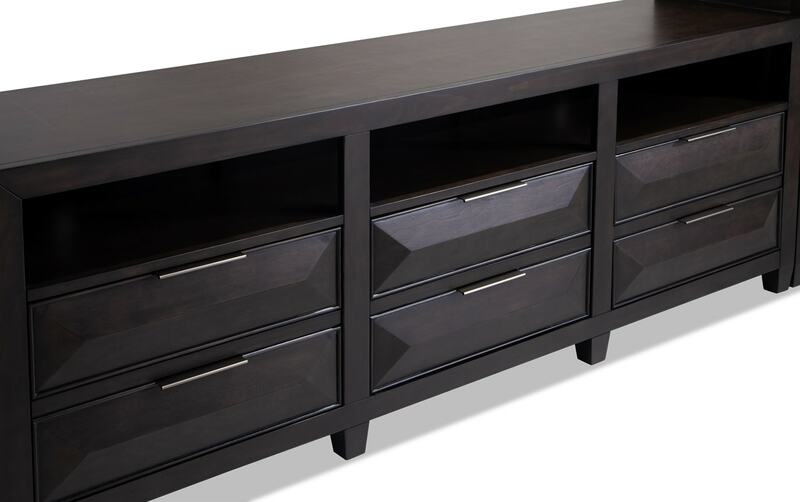 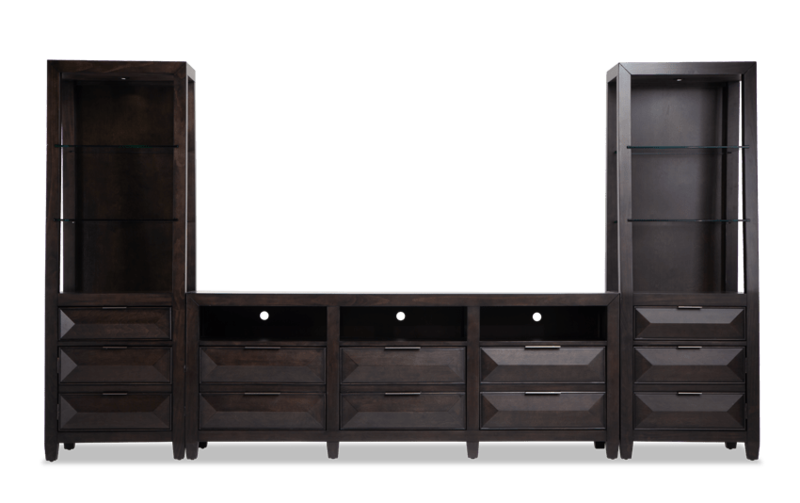 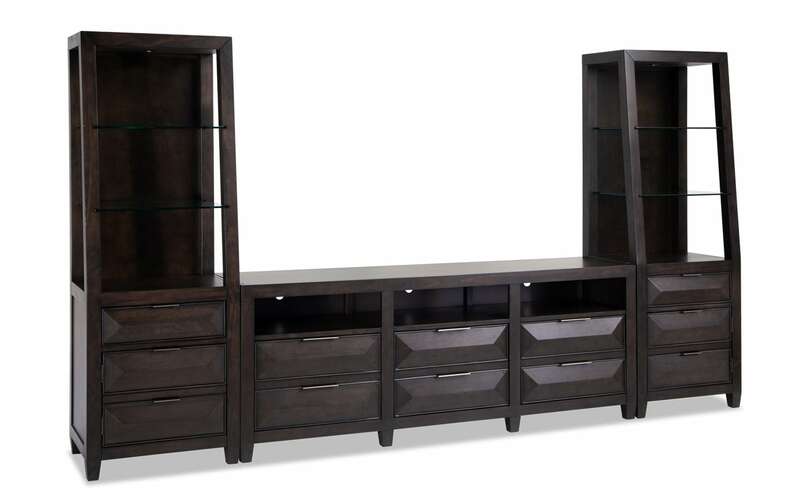 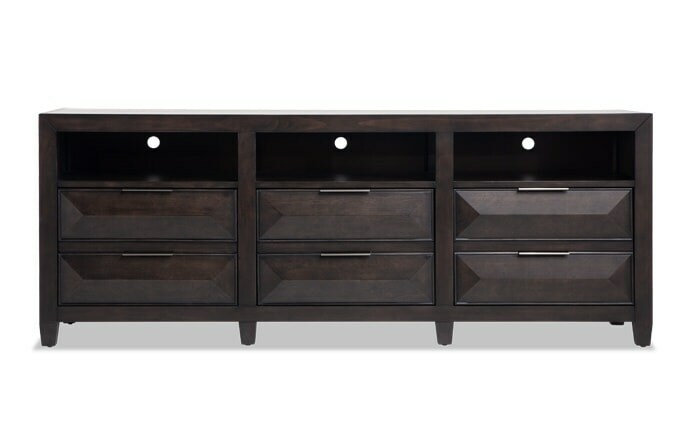 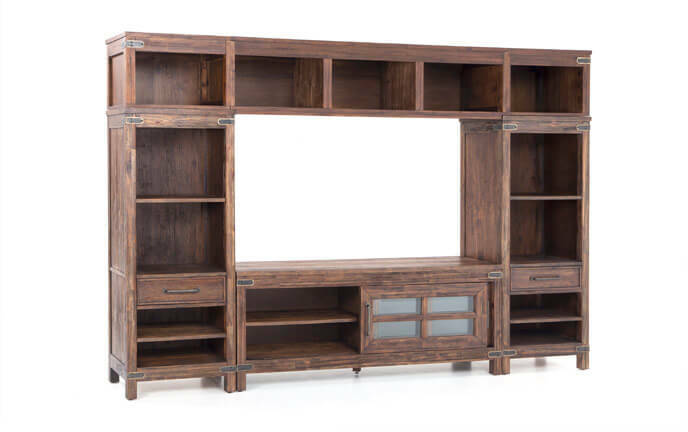 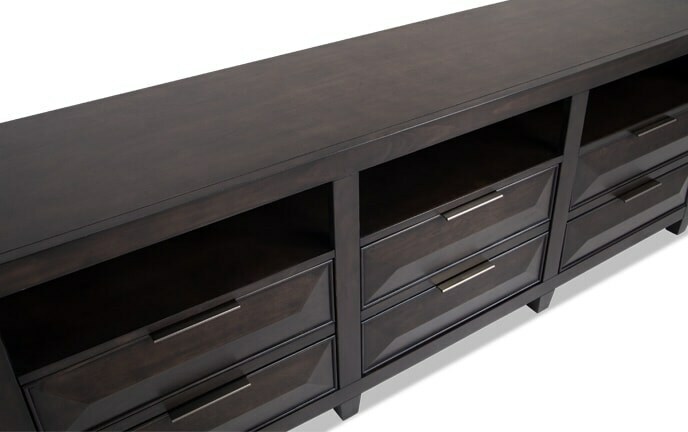 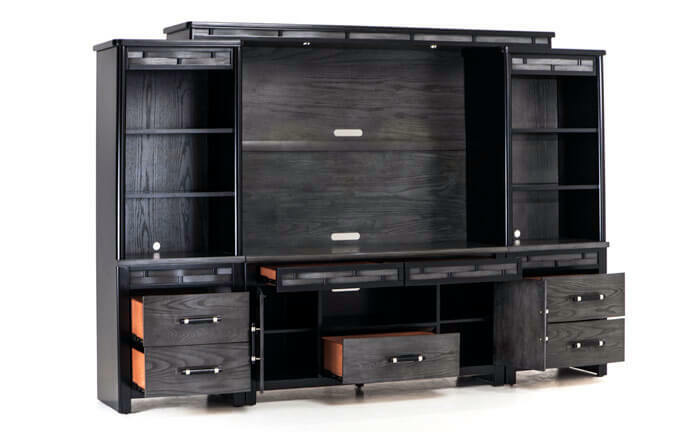 My Profile TV Console & Wall System is not only a great place for your TV, but it also provides a ton of storage! 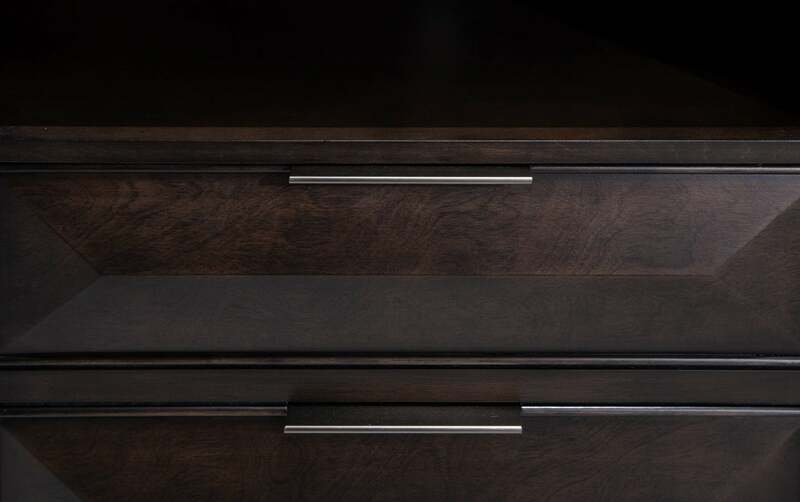 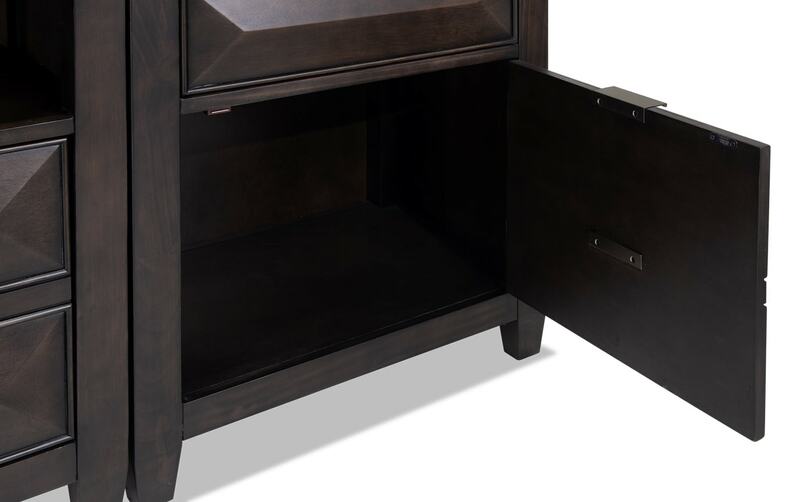 The convenient shelves on the piers and console offer plenty of space for all of your media needs and accessories, and even features 2 drawers to help keep them hidden. 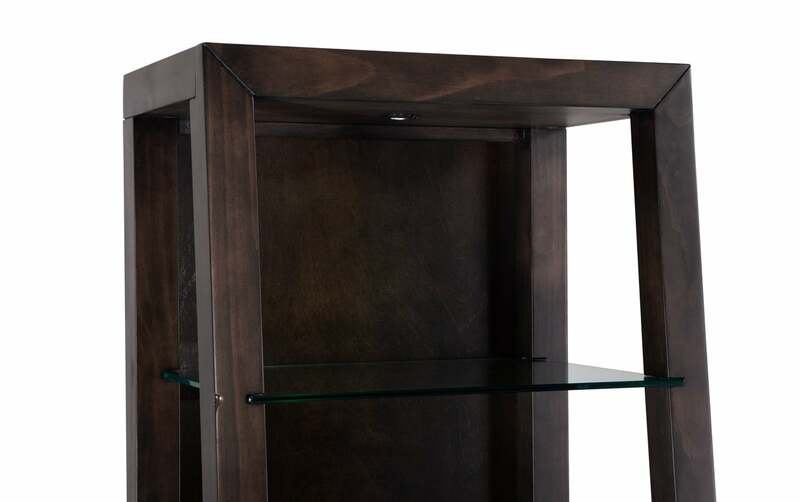 The best feature though, hands down, is the LED lighting and glass shelving which adds a touch of class and elegance!